Public panel & keynote: 9:15 a.m.-12:20 p.m. Registration is now closed. There will be a live feed in room F-246 for those who were unable to register but are still interested in viewing the conference. Children are a central concern of international criminal justice. Both the Special Court for Sierra Leone and the International Criminal Court have returned convictions for recruitment and use of children in combat. The Rome Statute further lists other international child-related crimes: killings, sexual violence, and other harms to children, their families, and their homes; trafficking; attacks on schools and hospitals; and denial of access to humanitarian aid. 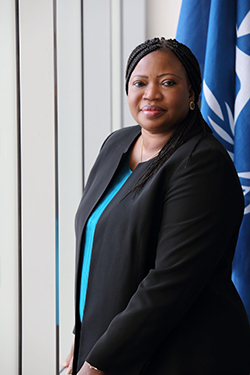 Convened by the University of Georgia School of Law – home institution of the ICC Prosecutor’s Special Adviser on Children in and affected by Armed Conflict – this daylong conference will examine issues related to children and international criminal justice. Experts will be drawn from academia and the practice; from international organizations like UNICEF and the Office of the Special Representative to the U.N. Secretary-General for Children & Armed Conflict; and from nongovernmental organizations like Human Rights Watch, International Center for Transitional Justice, International Committee of the Red Cross, No Peace Without Justice, Protect Education in Insecurity & Conflict, Save the Children, Conflict Dynamics International, and The Carter Center. They will consider legal doctrines, field research, and policy options. These discussions will assist the Special Adviser to advise the Office of the Prosecutor, in the process of its development of a Policy Paper on Children. The morning will feature a public, plenary session, with presentations by an expert panel and a keynote address by the ICC Prosecutor, Fatou Bensouda. Then will follow an afternoon of closed workshop sessions, with discussion led by experts who will have prepared two-page topic papers. The University of Georgia School of Law is committed to providing reasonable access and accommodations for people with disabilities upon request. For questions about accessibility or to request accommodations, contact Tricia Hackleman at tjhlaw@uga.edu or 706-542-5167 at least three business days prior to the event.